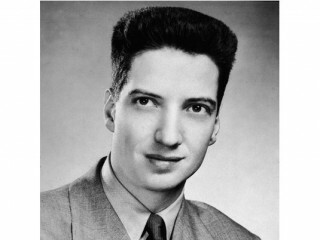 John Henry Hammond II was an American record producer, musician and music critic from the 1930s to the early 1980s. In his service as a talent scout, Hammond became one of the most influential figures in 20th century popular music. With his uncanny ability to recognize musical talent, record industry executive John Hammond shaped the musical taste of American listeners for more than five decades, discovering the performers and tapping the trends that would define each musical generation. Instrumental in the careers of Billie Holiday, Benny Goodman, Count Basie, Aretha Franklin, Bob Dylan, Bruce Springsteen, and many others, Hammond had no financial stake in the artists he promoted. Instead, he was driven by his sheer love of music and by his enthusiasm for unique and exceptional talent. Especially devoted to jazz and its practitioners, Hammond was enraged--during the 1930s--that the best jazz players were kept from a decent living and the recognition they deserved simply because they were black; a civil rights activist throughout his lifetime, Hammond worked tirelessly to erase the music industry's color barrier, promoting black artists on major recording labels and integration within bands. Late in that decade his "From Spirituals to Swing" concerts at Carnegie Hall brought legitimacy to American black music and appreciation for jazz around the world. "Hammond had an eye for buried treasure. He unearthed it, collected it, brought it to light as a self-appointed missionary, the phonograph record was his instrument," wrote Leslie George Katz in the New York Times Book Review. "By bridging worlds he opened gates. Others were doing it, but he went to inspired lengths." Writing in Down Beat, John McDonough concurred: "One has to look beyond music to understand the forces that governed his deepest passions.... Music wasn't just an artistic pursuit in his view, it was a social force--both an agent and an expression of broad social and political meaning. This is what gave substance to Hammond's instinct for new musical voices." Hammond was born into a life of great wealth and privilege: his father was a prominent lawyer and corporate executive and his mother, a Vanderbilt daughter. Home was a six-story mansion in New York City, where John Jr. fell in love with music--early classical pieces on the family phonograph and jazz and blues heard in the servants' quarters. Here, too, he first became privy to the discrimination against race and class that he would later fight so hard to eradicate. An avid record collector by the age of twelve, Hammond recalled that "the simple honesty and convincing lyrics of the early blues singers, the rhythm and creative ingenuity of the jazz players, excited me the most." His forays into the city often ended at Harlem's Alhambra Theatre or Roseland Ballroom where black artists like Bessie Smith and Fletcher Henderson performed. Entering Yale University in 1929, Hammond worked as a summer apprentice for the Portland Evening News, an eye-opening post that taught him about the civil rights movement, labor unions, and politics. It also awakened in him a new passion--writing--which would soon come to serve his musical and social agendas. Hammond entered the music business in the early thirties as a jazz writer for British publications Gramophone and Melody Maker. At the same time he used his income from family trust funds to subsidize and promote the recordings of black artists; for a while he produced jazz programs for a New York radio station and staged jazz concerts at the Manhattan theatre he bought expressly for the purpose, using racially mixed bands. Becoming the American recording representative for the English branch of Columbia Records in 1933, Hammond soon befriended an unknown clarinetist, Benny Goodman, and persuaded him to recruit musicians from Harlem for a recording session backing legendary blues singer Bessie Smith. In 1934 the promoter also supervised the first recordings of a recent discovery, Billie Holiday, who he decided was "the best jazz singer I had ever heard." With Hammond's help, Goodman gathered jazz talent for a permanent band, including black pianist Teddy Wilson and, later, vibraphonist Lionel Hampton. The integrated band was one of the country's first to perform live, and with hit after hit the band ushered in the swing era. Count Basie was also a Hammond discovery, heard on a Chicago experimental radio station in the mid-thirties. The promoter convinced Basie and his black nine-member band to come to New York City and record, and their great success propelled black music further into the mainstream. Hammond also brought boogiewoogie piano to white audiences for the first time when he resurrected the career of Meade Lux Lewis, as well as bringing to prominence Charlie Christian, the brilliant jazz musician who pioneered the electric guitar. Continuing to write about his musical discoveries and enthusiasms, Hammond also engaged in civil rights activities: aiding striking Kentucky coal miners, reporting on the Scottsboro case for Nation and New Republic, challenging worker conditions in the record-manufacturing industry, and serving on the executive board of the NAACP. Hammond worked as assistant recording director for Columbia Records from 1939 until the outbreak of World War II. Following the war he worked for a number of labels in a variety of capacities; with Mercury Records, for instance, he focused on classical music recordings, and at Vanguard he helped produce the first high fidelity jazz recordings, some featuring artists he had worked with years before. Rejoining Columbia in 1958, Hammond was involved in talent acquisition and record producing until his mandatory retirement seventeen years later. Focusing on folk music and rhythm and blues as well as jazz, he was responsible for signing such talents as blacklisted folk singer Pete Seeger, Canadian poet and vocalist Leonard Cohen, and the unknown Bob Dylan, whose ragged voice and undistinguished musicianship prompted other Columbia executives to refer to him as "Hammond's folly." When Columbia wanted to drop Dylan after his first album fell flat, Hammond insisted that "this superlative artist with an acuity of vision of American life" be given a second chance--a judgment vindicated by Dylan's subsequent legendary status. Other Hammond discoveries in later years included Aretha Franklin, George Benson, Bruce Springsteen, and Stevie Ray Vaughan; rediscoveries included Eubie Blake and Alberta Hunter. The retired executive continued as a consultant and independent record producer until suffering a stroke in the mid-eighties, his passion for music and zest for discovery still unabated. In his autobiography, John Hammond on Record, he explained the fuel that fired him. "I still expect to hear, if not today then tomorrow, a voice or a sound I have never heard before, with something to say which has never been said before." American correspondent for Gramophone, 1931-33, Melody Maker, 1933-37, and Rhythm, 1937-39; music critic for Brooklyn Eagle, 1933-35; columnist for Down Beat, 1934-41. Associate editor of Melody News, 1934-35; coeditor of Music and Rhythm, 1942-43; music editor of Gentry, 1956-57. Contributor of articles on music and social issues to periodicals, including Metronome, New York Times, and Saturday Review. View the full website biography of John H. Hammond.